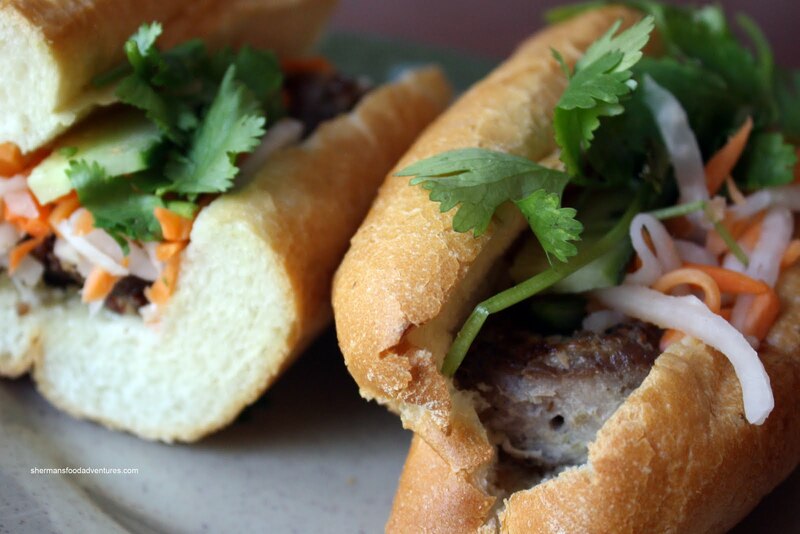 "Have you tried a Banh Mi before?" That's the question I posed to Pomegranate as we were driving through Vancouver. "No, what's that?" was his reply. Honestly, he is missing out! 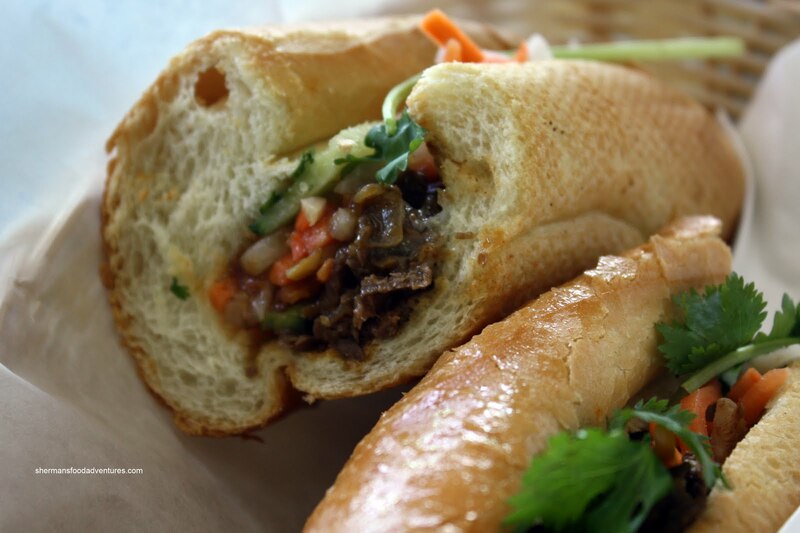 Although he has traveled extensively to South Asia, he has never encountered the Vietnamese sandwich. 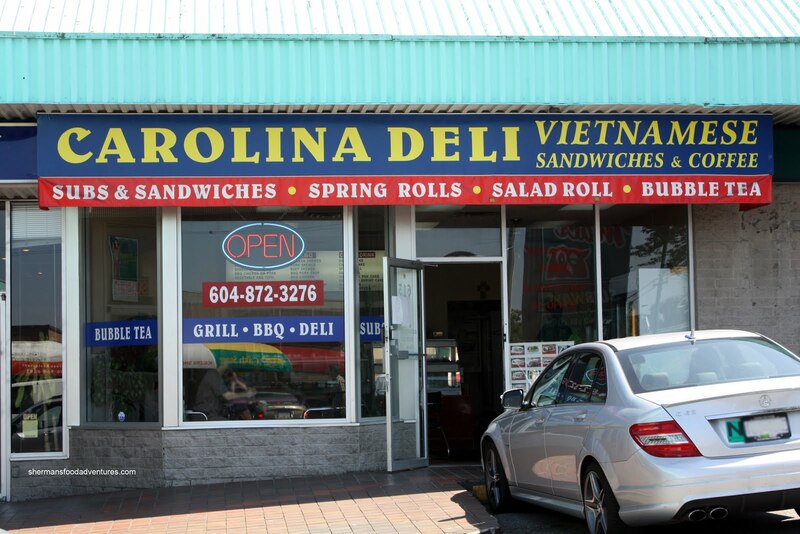 I guess living out in Port Moody, there are no Banh Mi to be found. Thus, it was time for me to pry him out of the rock he has been living under. I went on to explain that the Banh Mi is the result of former French colonization of Vietnam. 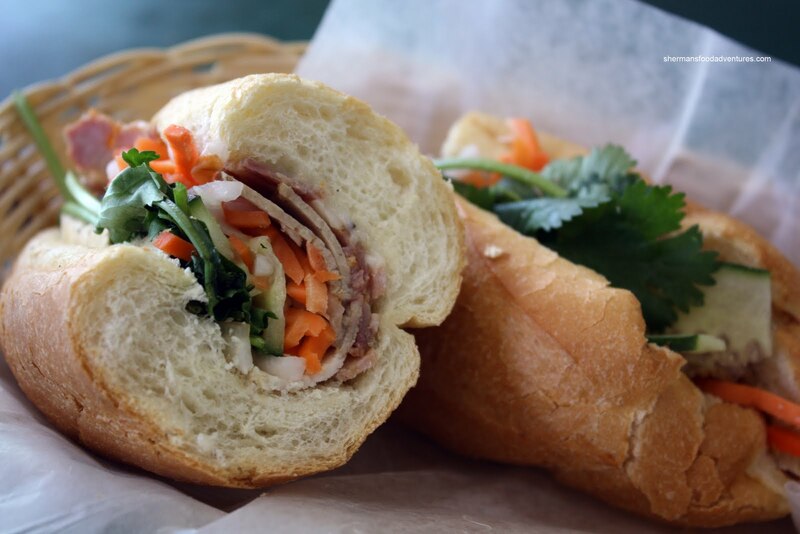 It is a baguette normally stuffed with pickled daikon & carrots, cilantro, onions, hot peppers, butter-mayo, meats, black pepper, fish sauce and sometimes pâté. If you haven't had one, I suggest you do, it'll make Quizno's and Subway look incredibly overpriced and bland. We ended up at Carolina Deli which as the name implies is on Carolina & Broadway. 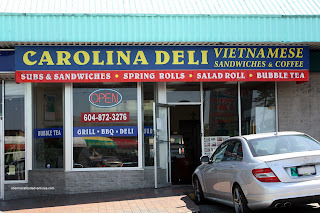 Walking into the place, it looked like your typical Vietnamese sandwich shop. There were a few seats for dine-in. In addition to their selection of sandwiches, there are some choices for actual meals as well. However, we weren't here for that and proceeded to order. It was quite the exercise since there was an obvious language barrier. But in the the end, everything was done right and we were no worse for wear. I got 2 sandwiches for myself and 2 for takeout (Viv loves these as well). Pomegranate got the same 2 as myself with the first being the standard Cold Cut. We were slightly disappointed that there was no pâté. I wish more places would use pâté, it really makes the sandwich. Despite this, the cold cut was not bad. The bread was crusty and slightly chewy. Not bad. Ingredients were fresh and it was an overall pleasant eat. Our second sandwich was the Satay Beef. Now this one was much yummier. The easy-to-chew beef was quite flavourful with the usual satay spices and some lemongrass as well. For Viv, I got her a cold cut and a BBQ Pork. Naturally, since it was a while later until she ate it, she needed to reheat it in the toaster oven. That made the bun even more crispy and honestly, that was better. The BBQ pork wasn't exactly flavouful; but it was easy-to-chew as well. Pretty decent Banh Mi in my books; but I still prefer the ones from Tung Hing and Ba Le.